For us, Thanksgiving has always been more about eating food than looking at it. 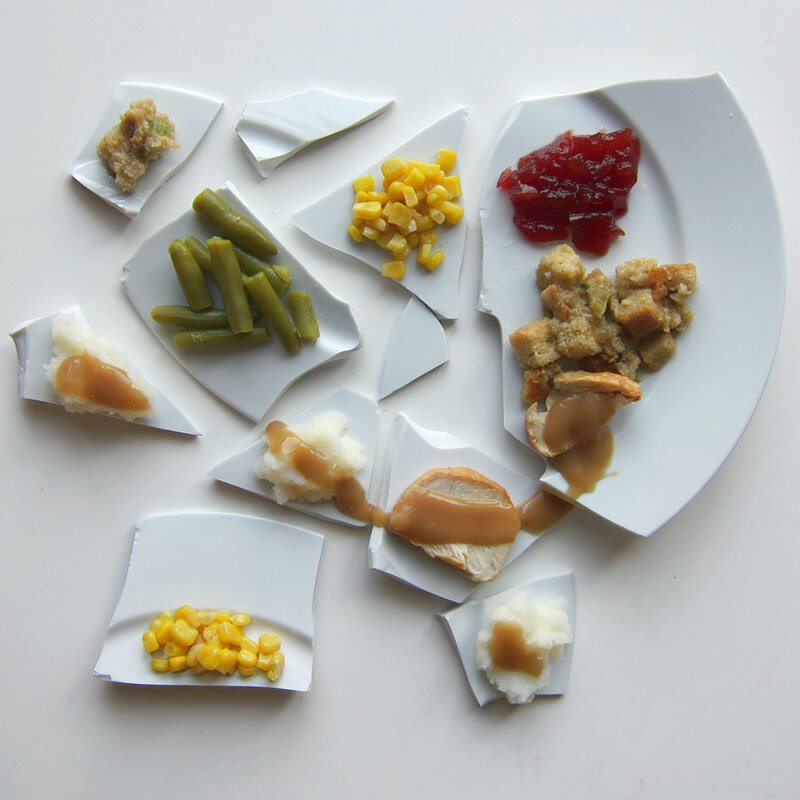 Not so for San Francisco-based artist Hannah Rothstein, who has reimagined Thanksgiving dinner in the style of some history’s great artists. From the jagged, shattered plate of Picasso to the cranberry and gravy splattered meal of Pollack, Rothstein used turkey, gravy, mashed potatoes and the rest of the classic Thanksgiving dishes to inspire us all to play with our food a little more this holiday season. You can see Rothstein’s full menu of creations at her website, but here are some our favorites.